On October 4, a press statement from ABS-CBN announced that the director of the Darna reboot, Erik Matti, will be stepping down from the project due to creative differences. However, the film will push through, this time with Jerrold Tarog, known for Heneral Luna and Goyo: Ang Batang Heneral, at the helm. Through an Instagram post, the Erik Matti said that the movie was very special to him. "It's been five years and how I wish I could have finished it after all the hard work that went into preparing and putting it together. Unfortunately, things didn't work out ideally for both parties." "Darna is personal to me. My first project in the industry was as continuity supervisor for Peque Gallaga's Darna with Anjanette Abayari. And doing this modern reboot of the classic superhero, I feel that I have come full circle in this industry. " He then proceeded to thank his staff and crew, and the rest of the creative team. He also had a special message for the film's lead actress: "To Liza Soberano, thank you for the dedication and commitment. I'm sure you'll be a kickass Darna." Star Cinema first announced its Darna reboot in 2014, with Erik Matti as director and Angel Locsin as the lead. However, due to a back injury, Angel had to step down. 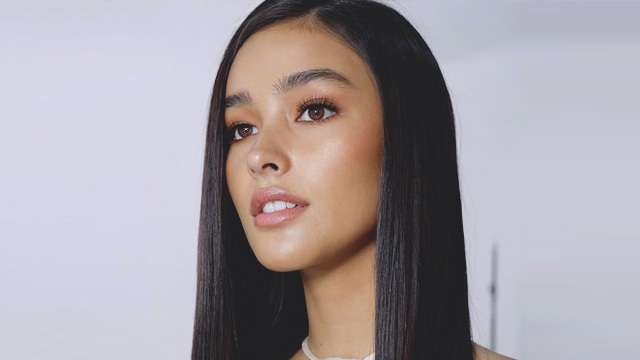 In May 2017, it was officially announced that Liza would play the Filipina comic book heroine.